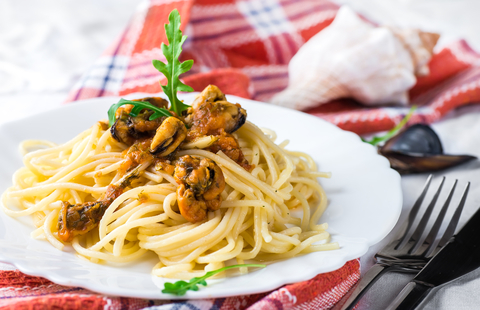 Today we are going to start our cooking with a delicious and quick mussel soup, and as a bonus we are going to add another exquisite recipe for pasta and mussels!! Hi to all my fellow chefs from the east coast of Africa and around this wonderful world of ours. 2 - 3 cans (85g each) smoked mussels. (Reserve two or three for garnishing the soup). 200ml full-cream milk mixed with 200ml cream. 3 - 4 Tbsp soy sauce. few drops of fish sauce. Extra fresh coriander to garnish. Put the mussels (including the oil) the milk mixture, chicken stock, coriander and chilies in a saucepan. Bring to the boil and cook so flavors blend well. Blitz with a stick blender until the mussels are finely chopped. Add the lemon juice and soy sauce and season with a few drops of fish sauce. 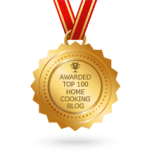 And you are ready to eat 10 minutes after starting this easy tasty meal, which always remains a favorite for busy people with little time to cook. 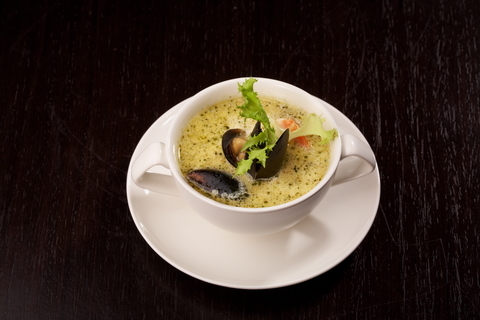 Spoon the soup into soup bowls and garnish with the reserved mussels and extra coriander. A nice crusty roll accompanies this soup very nicely. This is a simple dish, but packed with smoky flavor! Cook the spaghetti until just done. Drain, but reserve ¼ cup of the cooking liquid. Drain the mussels but reserve the oil. Heat the olive oil and reserved mussel oil in a pan and fry the onions and garlic until fragrant. Add the vinegar and simmer for 2-3 minutes. Add the sugar, drained mussels, chopped parsley and if necessary, season with salt and pepper. Add the reserved pasta liquid to the sauce, toss with the spaghetti. Garnish with the extra parsley and serve with a fresh green salad and warm crispy rolls, delicious!